Figure 5.1 - Indoor Grow room. Picture by RealHigh. l.Bench growing, 2.SOG growing, 3.ScrOG growing 4.Cabinet growing. Figure 5.2 - Regular Bulb. Figure 5.4 - This is a picture of a timer. Most lighting kits are open, meaning that no hood or glass will cover the bulb. It hangs directly under the reflector. The bulb is fixed into a socket that is attached to the inside of the reflector. That socket is connected to the ballast. The ballast can be internal or external. If external there will be a cord leading to the ballast from the bulb's socket. The ballast plugs into a domestic light socket like the one you have in your home. Some ballast types even have a built-in timer. When buying a lighting system it is recommend that you buy a complete system and an extra bulb. Check to make sure that the lighting system meets safety regulations and has some sort of guarantee with it. Figure 5.5 - This is an example of what an external ballast looks like. You might be able to see the timer on top of it. Here is the visible part of the spectrum. Plants are green, which means that Plants absorb light at the middle of the spectrum (Orange to Indigo). Cannabis plants need this part of the light spectrum to reach full growing potential. The intensity of the light is also important. A light that feeds the full bandwidth with all light spectrums will work very well - like sunlight. When dealing with artificial lights it is better to choose a light that concentrates its intensity on the top part of the spectrum. The most common indoor light systems are called HID lights. We will discuss the full range of lights that you may come across in some grow rooms. Figure 5.6 - A domestic bulb. Also called an incandescent light source. These are the lights you find in use around your house. These lights come in all sizes and wattage - 30 watts to 150 watt. These lights are not suitable for growing because of their low light intensity and bad colour spectrum. Figure 5.7 and 5.8 - These are examples of some fluro fixtures and bulbs that can be bought in most hardware stores. These lights are the long industrial lights that are found in many a school and work place. These lights come in nearly all lengths and sizes. 2 to 10 feet are the main sizes that are out there. They also run between 10 watts and 300 watts. These lights are okay for growing but they provide little light and are hard to set up properly. They also are not in best light spectrum for Cannabis plants to grow in. 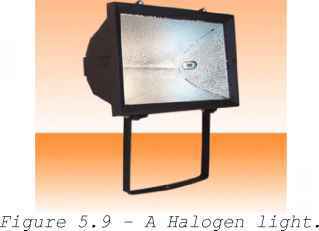 Halogen lights are the small lights that can be seen on the outside of factories for flood lighting the grounds during the night. They are usually small and black. These lights can range anywhere between 75watts and 4000watts. 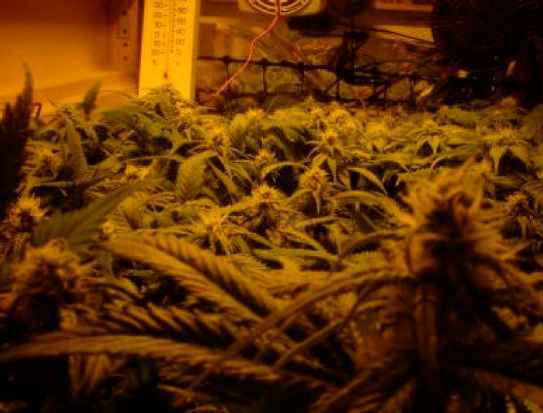 Halogens get extremely hot and can provide an unsuitable condition for growing Cannabis under. They are not recommended because they are dangerous to use indoors for growing. They are also not in the best light spectrum for growing Cannabis. 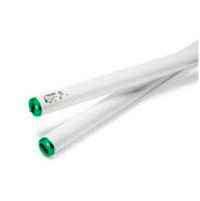 These are not in use much and are very similar to the Fluorescent lights except they are in the correct growing spectrum. These lights are not very strong and do not range much above 200watts. 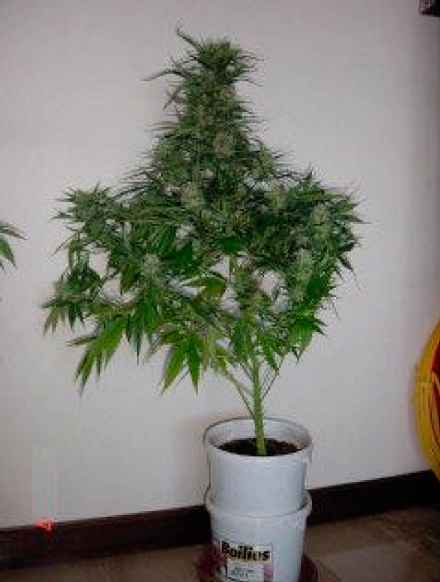 They are only recommend for growers who do not want to grow full flowering cannabis plants. Figure 5.10 - White Tube Light. The lights are HID lights and are used for the seedling and vegetative growth stages of your plant. They can also be used for flowering and are quite good too. They come in all shapes and sizes and range from 75W - 4000watts. These lights are very common and are a good kit for the indoor Cannabis grower. Mercury Vapour is not as common as it used to be. It has almost been replaced by Metal Halide now. If you have a choice between the two it is best to stay with the new MH kits. MV also has a tendency to be slightly out of the optimal spectrum range. This is the lighting choice of many a Cannabis Cultivator. These lights come in all shapes and sizes and have a range of 75watts -4000watts. These lights are in the perfect spectrum for growing cannabis and come highly recommended. Figure 5.11 - This is an example of a HPS and also a MH Light system. There is nothing at face value to indicate that the light is a HPS or a MH. To check this out we need to look at the ballast and the bulb and read what is says about the type of light system that it is. MH lights tend to give off a blue tone, while HPS tend to give off an orange tone. WHAT TO LOOK FOR WHEN BUYING A LIGHT. The first thing to say is that some growers have a MH set-up for seedlings and vegetative growth and a HPS for flowering. The HPS is a better flowering lamp, while the MH is a better veg lamp. If we can only afford one we should get a HPS. Both MH and HPS can be used for vegetative growth and flowering. 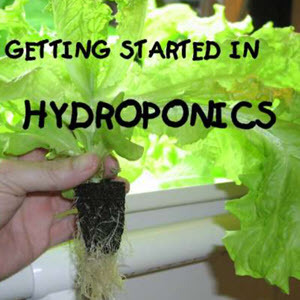 However since we are growing for bud, we should try to get the best HPS we can. The next thing they look for is the light kit itself. Check to see that the light is certified and is in good shape. Then check to see if the light is air-cooled. Some of these lights have a fan built in which keeps the light cool. If you see this then you know that you are going to need somewhere to vent your air. 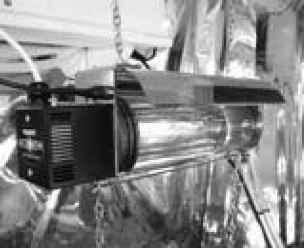 This may mean that you need to adjust a wall in your grow area so that the air is extracted from the light. Figure 5.12 - This picture shows two air-cooled hoods attached to their respective air ducts. This photograph is by Chimera. Lights that are air-cooled (Figure 5.12) tend to last longer and do not heat up your grow area that much. Most expert growers like to keep a room at a stable controllable temperature and use these air-cooled lights to achieve that. 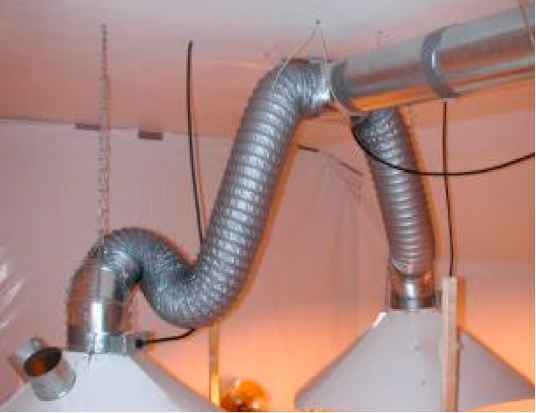 If your light is not air-cooled then you will have to build an air vent and fan in your grow room wall to keep the temperatures under control. Cannabis leaves will burn if placed too close to a HID light. Figure 5.13 - This is a water-cooled light system. These inventions have been around for awhile but have not caught on that much because they require a good bit of work. 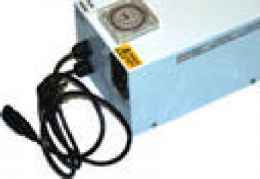 A constant pump of cool water must be circulated into and out of the light system. The next thing to check is how the light is supported. Does it require a light stand or does it require to be hung from the ceiling. In most cases you will be able to make your own stand if you feel that you are not willing to fasten a few hooks and chains to your ceiling. Also check to see if the electrical fittings suit your needs. Will they plug straight into your system at home or do you need an adapter? Maybe you might require an extension cord with your purchase. Most HID kits can only take a specific wattage of bulb and a certain type of bulb. 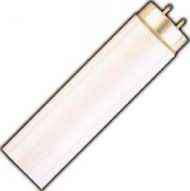 If you have a 600W HPS system, then you should only use 600W HPS bulbs. Some lighting kits have something called a 'switchable ballast' (Figure 5.14). This means that you use both MH and HPS lights with the system. Check your kit for further details. Figure 5.14 - This is a picture of what the switch looks like on a ballast that can take 2 HID types. The next thing to look for is the guarantee. Check to see what the manufacturer has said about this light and how long the guarantee is for. Last but not least is the most important part of your light. The wattage and lumens. This is interesting because we have two types of HPS lights using the same bulb wattage and one of the types is casting more Lumens than the other. The reason for this is that the higher lumens kit is better quality than the other. So we now know that some lighting kits produce better Lumens than others. Check through HID lighting kits and look at how many lumens they cast. This is a good indicator of how professional that light is. Also a 4000W HID is too much for one single plant. A 1K bulb is the maximum limit per light you should use. Use several 1K bulbs if you need more light. A 4K bulb will bleach Cannabis and is very hot. Now for the big question. How many Lumens do I need? Well this depends on three things. (1) How much do you want to spend? (2) How many plants do you have? (3) How big is your grow area. Let's say for the record that we would like to grow 4 plants. Then what we should aim for is a light that casts 45000 Lumens. This means we should buy a 600-Watt HID system. Let's say we want to pump up our available light to around 60,000 Lumens. This means we should buy a 1000-Watt HID system. If our area is bigger we might need 2 or more 1000-watt HID lights to achieve this. It all very respective to the 3 elements we mentioned above. There is nothing wrong if you want to use a 1000-watt HID light on 2 plants. They will grow bigger and better. The only thing is, do we really want to spend all that money on the light and the electricity bill? HID lights range anywhere between $220/£200 and $700/£670 for a full kit. You may be able to buy the parts and build your own, but this is only recommended if you have some experience with lights first. A 600W HPS kit should cost about $250/£230. This is money well spent if you want great plants with big buds. 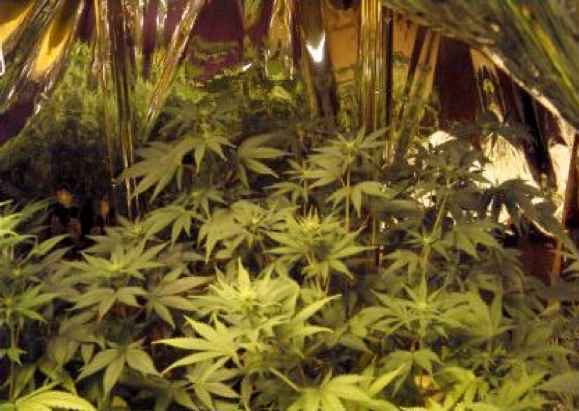 Over time you will understand more about grow rooms and how to light them properly. With experience you should be able to tell what light suits your needs. As a general rule, when in doubt buy a 400W HPS or better. The reflector part of the lighting kit can also cause a difference in lumens cast between two different systems using the same bulb. The reflector does it exactly what is says. It reflects light. The other thing to consider is that when the light bounces off the reflector it is going to fall down on your plant. When it does your plants will absorb this light. Not all of the available light is picked up by the plant and some of the light will escape and reflect off your workbench. Your bench may even absorb some of the light. This is your light that you are spending money on so why not try and do something about saving this escaping light. Some reflectors are very good and some are very poor. Reflectors should not be any colour other than white or polished metal. Some reflectors may have a small green film of plastic covering their insides. Remove this if you can. It should just pull off like a piece of tape. Many people get mirrors or tin foil and line their grow area with it. This is NOT good. MIRRORS ABSORB LIGHT. This means that only a small amount of your light is reflected back towards your plant. What you need is something white. White is the best colour for reflecting light, period. Not shiny glossy white, just plain flat' white. A white wall will reflect more light that a mirror will. Many growers like to paint the walls of their grow flat' white. This helps a lot. Other people like to line their grow area with the back end of tin foil wrapping (the white side). This is okay, but make sure that you use the white side and not the shiny side. A substance which looks like a tin foil sheet, called Mylar (Fig. 5.15), is very popular in cannabis grow rooms. Instead of using white walls you can use this reflective alternative. Most DIY and hardware stores will sell it in roles. Figure 5.15 - Mylar comes in roles like this. It is also recommend that you keep a spare bulb at all times in case your other bulb dies. It is no good going down to the local hardware store only to find that they are out of the bulb type that you need. This could leave your plants without light for along time. It is also wise to remember that plants need water and lights use electricity. Both these factors when mixed are extremely dangerous. Be safe and wise and keep all electrical outlets away from your plant and liquids that you use. Okay so you have your grow area set-up with all your security arrangements met. You have your lights set up and hanging down over your grow area. You also have some form of light reflection around your plants to help conserve your light. Your seed-bank has sent you your seeds and you have germinated them. They are on a tray next to you and you are preparing to transplant them into larger pots. The larger pot will stay with the plant throughout its life cycle and you need to provide the best medium possible in which your plant will grow. 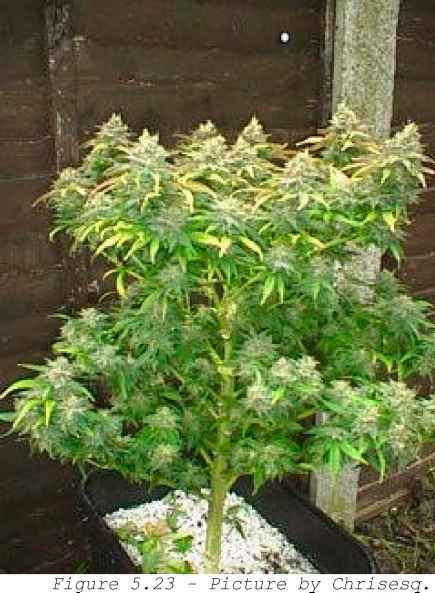 Figure 5.17 - Nice Indica plant from BushyOlderGrower. There are 3 main factors to look at when buying soil. (1) pH, (2) Nutrients and (3) Structure. pH is a way of measuring how much acid and alkaline is in the soil. The pH scale runs from 1 - 14. 7 is neutral, 0 is very acidic and 14 is very alkaline. Cannabis plants in soil like a pH of 7. When choosing your soil you should be looking for a pH of 7. It should tell you this on the bag. Going above or below this mark can cause your plant problems during growth. 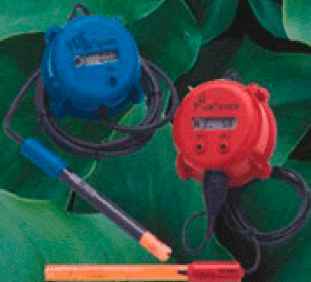 Small pH meters (Figure 5.18) can be bought in most gardening shops and can be used to measure the overall pH of your soil. Figure 5.18 - This is a picture of two cheap pH meters that can be purchased from most grow shops. you will see that the % of each part is stated. Such as 20:20:20. This means 20% N, 20% P, 20% K. The remaining 40% is just other elements that make-up the soil. In liquid it would usually be water. This ratio can change between different types of nutrient and soil brands so we need to understand what Cannabis likes. 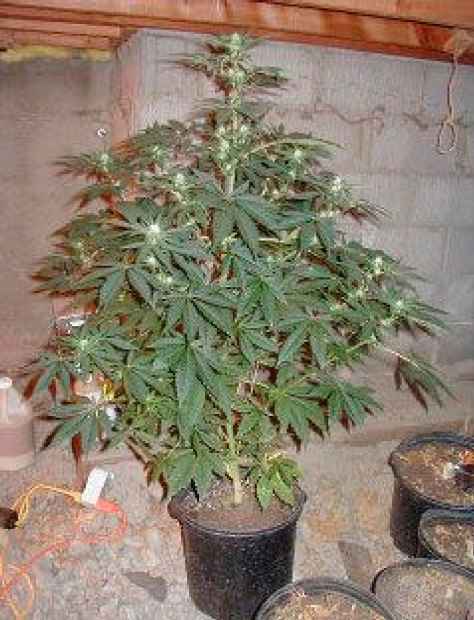 Cannabis plants like good levels of N and a normal level of P and K during vegetative growth. You need to pick a bag that has all three, not just 10:20:0. When looking at chemical fertilizers you need a mixture that has the first number higher or equal to the rest. 12-12-12 is fine, 20-20-20 is fine, 12-66 is fine and 18-4-5 is fine. The 12-12-12 and 20-20-20 are the best ones to find. Something like 8-20-20 is not suitable for vegetative growth. Bags with higher P are for flowering plants. As a grower we do not transplant to new soil for flowering. We simply use plant feeds to bring up the P levels during flowering. There are many more types of soil mediums out there and here we will briefly go through a few. Marijuana can be grown in most of these soil types but you will see that there may be some problems with a few of them. Sand soils can be pure sand or a mixture of sand and soil. The problem with sandy soil is that it drains water and minerals out too quickly. This means that it is a very dry soil and not suitable for our needs. These soils can waste our time and money. 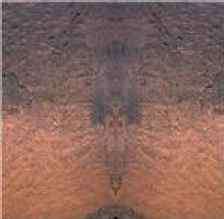 Silt soils are nearly the same as sand soil except they are more clay-like and of a darker colour. Silts hold nutrients well but do not hold water very well. Like sands they are prone to quick drainage. 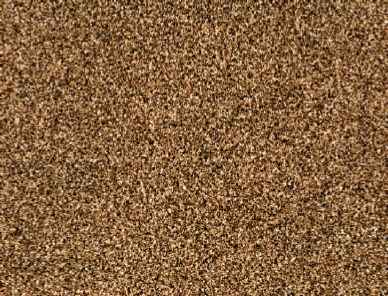 Sands and Silts are rarely used on their own to grow cannabis. 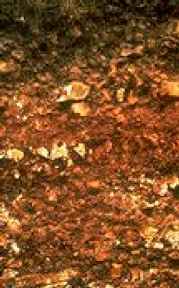 Mostly it is mixed with other soil types. Is a stiff tenacious fine-grained earth consisting of hydrated aluminosilicates that become flexible when water is added. Marijuana roots do not really like clay. 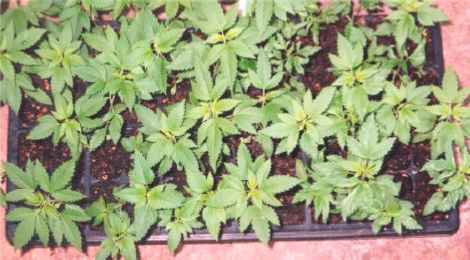 Clay can rarely be used on its own to grow Cannabis. Mostly it is mixed with other soil types. Loams tend to be a mix of all of the above. The combination of the mix is always stated on the bag. In fact, in most cases normal soil that you buy in the shops has sand, silt and clay mixed in with it. When you encounter a bag of soil it is nearly always going to be a Loam. 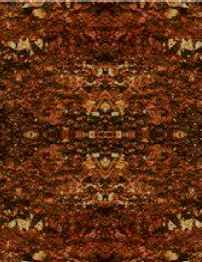 Loams are very fertile soil composed chiefly of clay, sand, and humus. They are highly recommended. It must be noted at this point that you do not want to bring natural outdoor soil in. This is because the soil may not be sterile and it may contain bugs and pests. Always buy soil from a gardening shop. Soil is the cheapest part of your grow. Is the organic constituent of soil, formed by the decomposition of plant materials and can be bought in bags at the local gardening shop. Most of these products try to eliminate bugs and other living matter from the soil but sometimes this is not 100% successful. Don't be too surprised if you find a worm or green fly in the package. Humus is also sometimes known as compost, but compost is the final mixture of manure (which is of organic origin), loam soil and some other mediums with added organic matter. Humus is that added organic matter stuff. Basically pots come in all shapes and sizes. 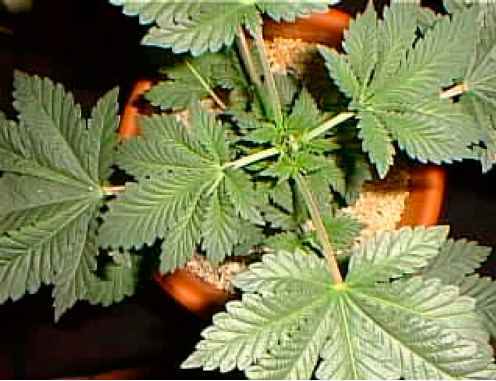 Marijuana plants are best kept in pots that are somewhat large (1.5 - 3 gallon pots) because cannabis does grow long roots. Also you are better off buying a pot that has some form of perforations (holes) at the bottom. The perforated pot sits on a small dish (you should be able to buy these at the same time you buy your pots). When you water your plant some of the water may drain down through the soil and come out through the perforations and into the dish. The dish should be emptied if this happens to avoid water spills. More advanced growers use pots that do not contain perforations at the bottom. This is because advanced growers never water or feed their plants too much. If you over-water your plant, these perforated pots will drain some of the water through to the dish. 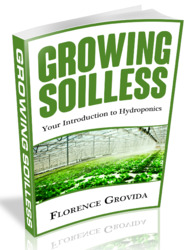 What happens is that the water may also leech down some of the nutrients that you have added to your soil. Over-watering can cost you time, wasted nutrients and even kill your plant. Before you use a pot make sure that you clean it thoroughly before use to get rid of any unwanted chemicals or dust that may have gathered in the shop or factory. Pots are very cheap to buy. It is always best that you only use one pot per plant. If there is a problem with the soil, watering or nutrients then only one plant will feel the effects. 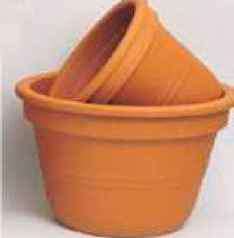 Figure 5.24 - This is a great picture of a method known as double-potting which helps create a thicker stem. During vegetative growth the bottom of the top pot is cut away and is placed on top of a new pot with fresh soil. The roots grow right on down into the next pot. Look at the size of the cola in this picture by GIYO. Figure 5.25 - A Picture of seedlings finishing their seedling stage and going into vegetative growth. By Vic High. Figure 5.26 - Top shot of an Indica plant in veg by Ralpheme. It is easy to see signs of over-watering. Watch your plants after you have watered them for the next 2 - 3 days. Do the fan leaves point outwards to receive more light? Or do they wilt downwards and look like claws. If they wilt then you may be under-watering or over-watering. Check the soil. Is it dry? If it is then add more water. If it's wet, then leave the soil dry out for more time until your leaves pick up again. You will eventually understand more about your plants needs as it grows along. What you need to do is form a pattern or relationship with your plants watering needs. How many lumens to grow weed?